…is a unique street market with a festival feel featuring exotic world cooking, homemade, healthy and traceable foods together with ethical traded, handmade, eco-friendly arts, crafts, clothing, jewellery, accessories and original ideas. We believe that Britain provides the most complete meeting place in the world; the old and new world, the developing world and the most highly developed all come together in the UK. No other country in Europe has such a history of empire and emigration and immigration. Britain has one of the world’s richest food cultures with dishes from India, Thailand, the Caribbean, South America as well as Europe providing ingredients to our nation’s staple diet. The World Village Market features many of these dishes - and celebrates the cultures behind them. The World Village Market is a celebration of the street trading tradition that is common to all countries throughout the world. Such markets were once a traditional route to the top for many budding entrepreneurs and today, with the rising cost of High Street rents and lack of lending for business start-up capital, we are seeing a resurgence of that cycle. We continue to see a demand for original, high-quality food products as a great many people care not only about the source but the ingredients used. Similarly original, handmade and/or ethically traded arts, crafts, clothing and jewellery are holding their own in these challenging economic times. People are being more careful about how they spend their money. 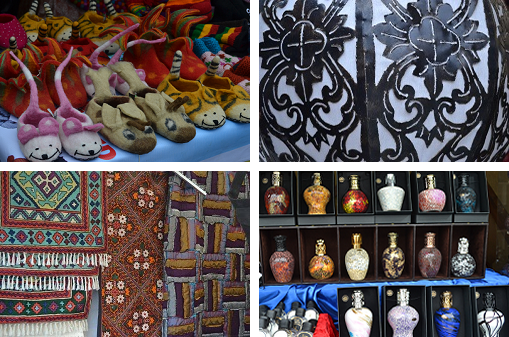 The World Village Market showcases products that are unique to particular regions of the world and are cultural identifiers. The World Village Market features a great range of exotic foods and drinks together with crafts, clothing, jewellery, home furnishings and accessories. A great gathering of goods and a feast of food will be on offer, with an international line-up of stalls alongside some of our own ‘home grown’ specialities. Market the event to our database of businesses and create interest from other stall holders through a number of marketing and public relations strategies. Our practice of seeking out the best of ethical products and business practice over the last four years has provided us with a unique database. Our selection of World Goods and Food will provide value and validity in terms of traceability, sustainability, nutritional content and quality of craftsmanship. We insist on a minimum standard of presentation and mini marquees are required for all stalls. Market Square Group can provide mini marquees on a hire basis to ensure that standards are maintained. All traders, proprietors and employees alike, will be present themselves and their products in a clean and tidy manner. Market Square Group encourages the display of cultural identifiers such as flags and national/industry costume. Furthermore, we insist on clear descriptions of ingredients/materials are displayed on the stalls. Our markets benefit from the progress we have made in establishing an environmental and world concern ethos when staging our events. Drawing on our expertise in creating exciting and innovative events we can – with the agreement of our host venue - provide entertainment and workshops to enhance the festival feel of the market. Market Square Group considers each event staged on an individual basis. We apply tailor-made solutions to each challenge we undertake and believe in engaging fully with both the community in whose midst the event is taking place and the partners with whom we are working. "The council is delighted to be able to host this market again, which offers people a variety of interesting and different items. Handcrafted, artisan made, unusual and exotic items will be available to the people of Dundee and visitors from further afield to enjoy and we are always happy to support ventures which attract people to the city centre." Will Dawson, Convener of Dundee City Council’s City Development Committee.